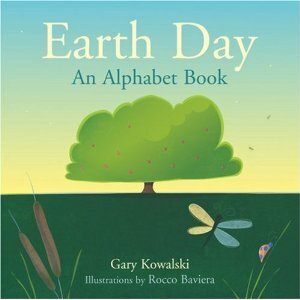 Earth Day: An Alphabet Book is a beautiful tribute for children to pay mother earth, while simultaneously learning their alphabet. More than just an ordinary alphabet book, it is a beautifully drawn book that reminds us to give thanks for everything around us. It teaches a child a sense of gratitude. Author Gary Kowalski has generously taken the time to sit with our readers and share his thoughts. PaganPages: Hello Gary! It is a pleasure to meet you. Can you tell us a little bit about yourself first? You are a minister of a Unitarian Universalist Church, can you tell us a bit about it? Gary Kowalski: Unitarian Universalism is a faith that embraces of people of all beliefs and backgrounds. I have pagans, atheists, Buddhists and Christians in my congregation, who like the freedom to find their own answers and learn from those on differing spiritual paths. We’ve been around since colonial times in America. Figures like Thomas Jefferson and John Adams, who identified themselves as Unitarians, were busy making a political revolution but also demanded the right to independent opinion in the religious sphere. In fact, many of the Founding Fathers drew more inspiration from the pagan authors of classical Greece and Rome than from the Bible. Even then, they were looking to nature rather than scripture or traditional Christian doctrine as the primary revelation of divinity. PP:What made you decide to write an alphabet book? GK:As children, we naturally appreciate Mother Earth and other living creatures. Research shows that young kids, for instance, dream about animals constantly. Harvard biologist E.O. Wilson thinks human beings are endowed with “biophilia,” an inborn attraction to butterflies and pinecones and polar bears as part of our evolutionary inheritance. Too often that inborn sense of awe and reverence disappears as we age. So a book for children makes perfect sense. PP:Why base it on Earth Day? GK:People of every religious tradition can embrace Earth Day. It’s not a sectarian holiday, but a moment to consider our interdependence with air, sun, water and soil and re-commit to preserving the environment for future generations. The ecological crisis is really a spiritual crisis. The political will to save the Earth can only arise when individuals of every religion begin to realize that the planet does not belong to us but is the property of God or the Great Spirit or Maha Devi (the Hindu Goddess) or whatever name you give to that creative mystery. We’re just holding the world in trust. PP:What was your inspiration behind the book? GK:My own mystical moments have come through relationships with animals, like my dog Chinook whom I once called my “spiritual guide.” So I tend to think that there’s a bit of nature worshiper in all of us, not just Wiccans and Druids but garden-variety tree-huggers like me who experience a contact high from walking on the beach or watching the geese migrate south in the autumn. Jane Goodall reports that even chimpanzees perform a “rain dance” when there’s big weather in the sky. There’s a thrill from feeling connected to all those elemental forces, so much older and more powerful than our own transient egos. PP:Did you choose the inspirational artwork that compliments your thoughts in the book or collaborate with the artist? GK:No, but the illustrations by Rocco Baviera are delightful: colorful, simple, and lighthearted to accompany what I hope is a joyous message of kinship with creation. PP:Did your role as a minister help with writing this book? GK:The words originated as material for Sunday morning. So I didn’t set out with the intention to write a book, but to summon up a sense of the sacred circle that includes us all. PP:Is your publisher a part of your ministry? GK:Skinner House is the publishing arm of the Unitarian Universalist Association. Several years ago they published a curriculum I wrote on World Religions, as well as a brief volume of personal essays titled Green Mountain Spring and Other Leaps of Faith. PP:Have you written any other books? GK:The Souls of Animals, my first book, and Goodbye Friend: Healing Wisdom For Anyone Who Has Ever Lost A Pet (both from New World Library) have been translated into six languages and sold in the hundreds of thousands. I’ve published two other titles with Lantern , Science and the Search for God and The Bible According To Noah: Theology As If Animals Mattered. Finally, there’s Revolutionary Spirits: The Enlightened Faith of America’s Founding Fathers (BlueBridge Publishing) which came out in 2008. You’ll find all my books on Amazon or, better yet, you can order them through your local, independent bookstore. Although, Gary Himself, is not a pagan, his earth worship has inspired us and we hope it inspires you and your children, as well. Thank you Gary for your time and your thoughts! Your book is beautiful and has taught us about giving thanks for our everyday.